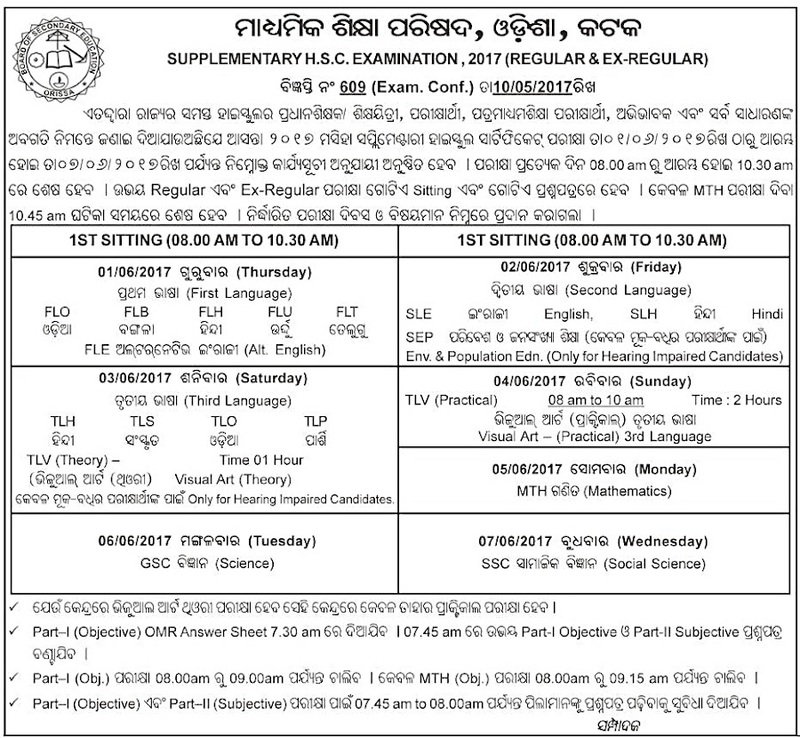 Board of Secondary Education, Odisha announced official Time Table or Schedule for Regular/ Ex-Regular Supplementary Examination 2017. The said exam will start from 1st June, 2017 to 07th June, 2017. Below is full schedule. You can download in PDF too.